These are the perfect live bands for corporate events, weddings & parties in the Berkshire area .... in fact any event where you want to dance all night to rock and pop hits from across the decades! Find the best local function bands in Berkshire only at Alive Network, the UK's biggest music agency. Want help finding your perfect Berkshire function band? If you would like assistance finding the perfect live band for your event in Berkshire, simply give us a call or submit the quick enquiry form below and one of our talented entertainment coordinators will be happy to assist. My Generation takes you on a journey back to the most exciting musical time in history. Massive hits songs from The Beatles, The Kinks & Van Morrison all feature in this exciting new 60’s show. Repertoire can also feature hits from 50s-00s if required! The School Band are the ultimate rock and pop band based in Berkshire. With five energetic members, comprising of guitar/vocals, lead guitar, percussion, drums & bass, they were ‘the resident band for School Disco.com when it was at Hammersmith Palais! 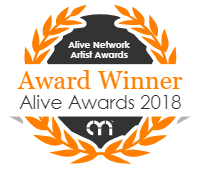 Alive Network are Berkshire's largest live music and function band agents and one of the leading live entertainment agencies in the UK. We specialise in providing Berkshire's best function bands, musicians, DJs and entertainers for events across Berkshire.